Freebie alert! If you're a Coupgon app member check their list of deals for this week! 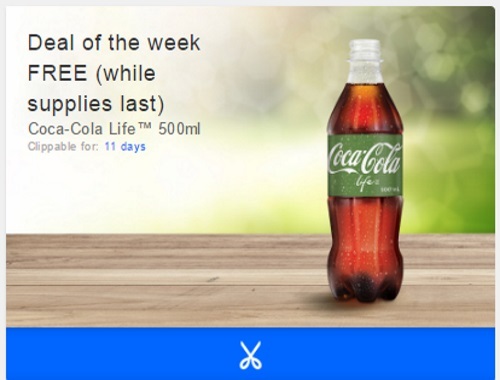 You can get a Free Coca Cola Life product! While quantities last, for a limited time. At time of posting there were 11 days left on this offer. Open your Coupgon app and check if there is a store near you that is participating in this offer.